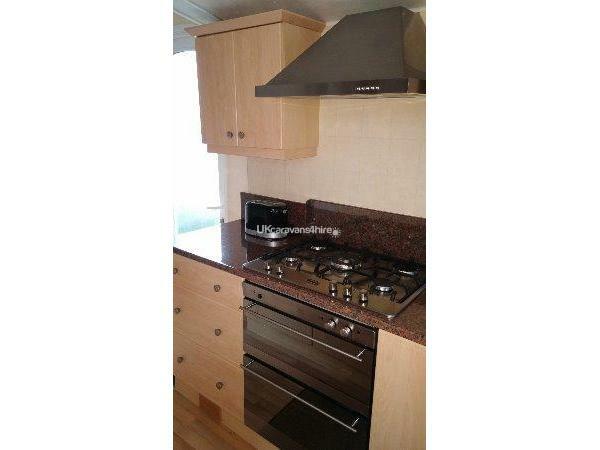 Additional Info: Dishwasher & double sink. 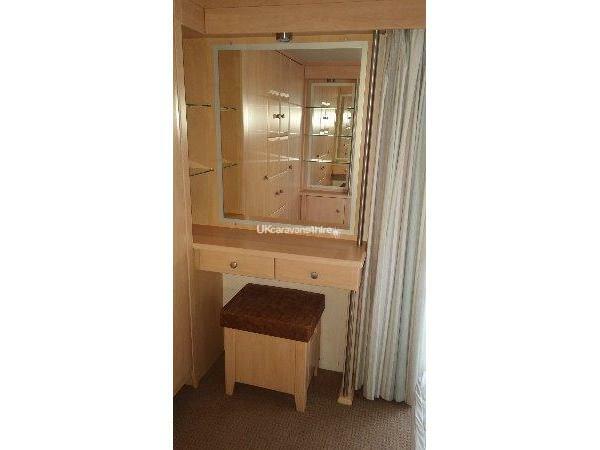 Caravan for rent at Palins Holiday Park has a large double bedroom with double fitted wardrobes, dressing table with wall mirror and an en-suite bathroom. 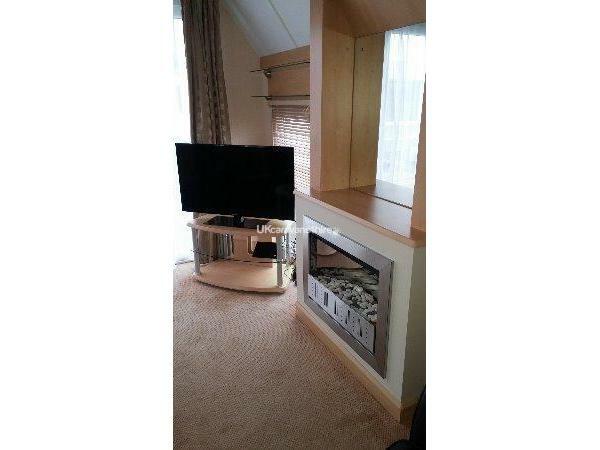 Also has a twin room with wardrobe, mirror, TV with built in DVD, along with a selection of children's DVDs to keep them happy :) The living area has a leather 2 seater sofa which also turns into a bed therefore sleeping 6 and a leather chair. The cupboard space in the living area also has some colouring activities and modern games etc. There is a wide screen 42 inch TV. The caravan is Double glazed and GCH. Gas and electricity are provided. 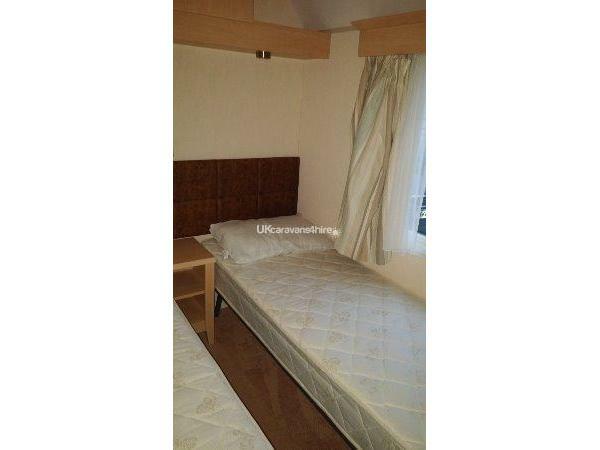 Bed linen and towels are not provided except for duvets and pillows. 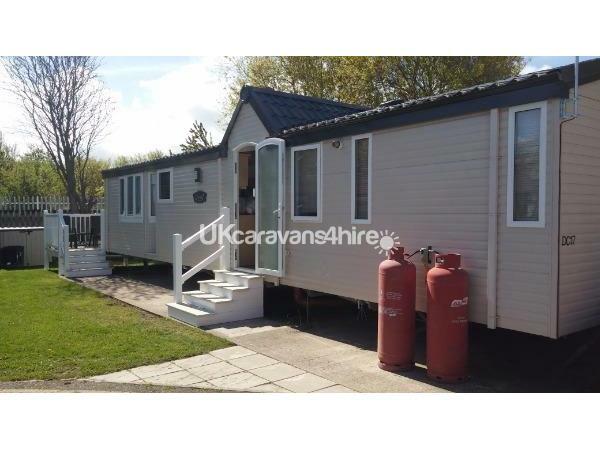 Please be aware this is very modern and as new a superb high end static caravan. There is a pub which also serves food, they do lovely breakfast, good quality food and good portions. There are an abundance of places to visit in the surrounding areas of Palins Holiday Park. Plenty to do within walking distance. Beach approx 5 minutes walk away. Please contact for Short breaks. 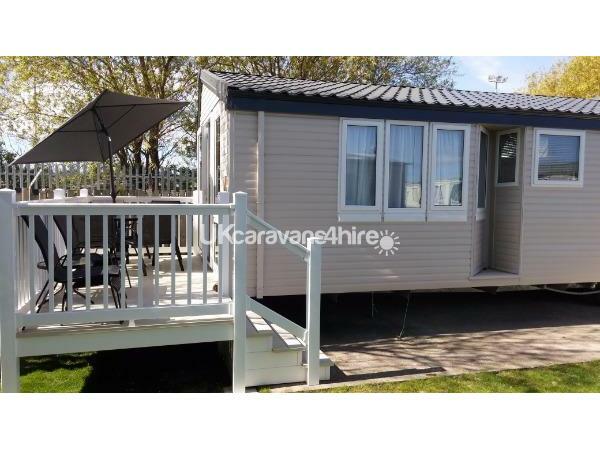 This is a truly superb caravan. 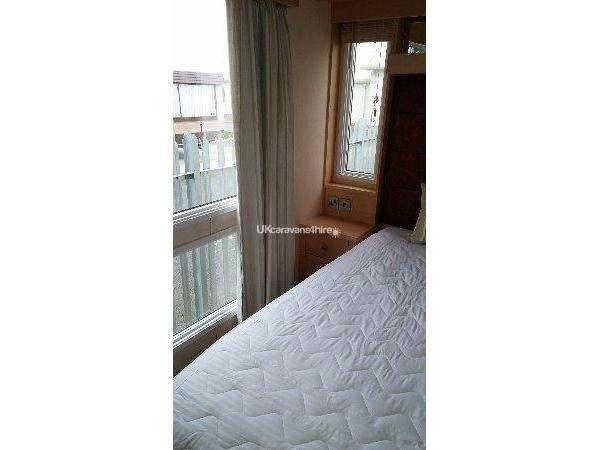 From the outside this has to be the best looking caravan on the site and situated in a lovely quiet spot, about 5 minute walk to the facilities on site (club, pub, chippy, amusement arcade and shop). 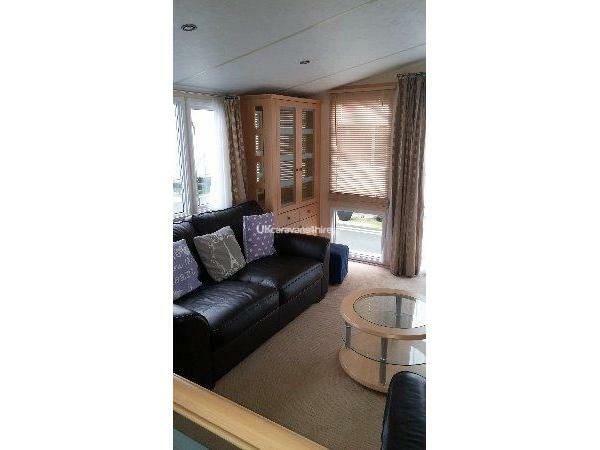 Dont know what the other caravans look like from the inside but I would say it would have to be something special to match this one. 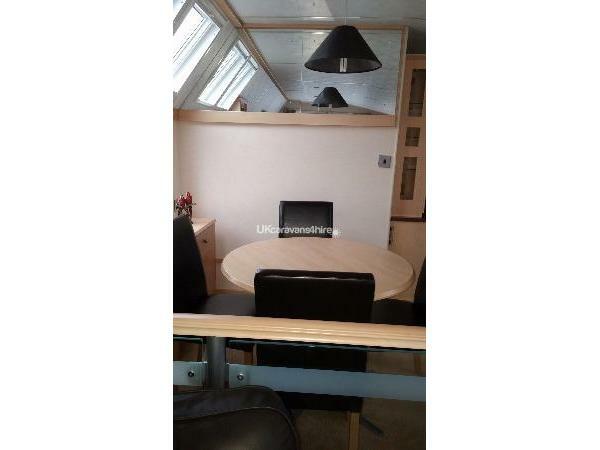 Lovely comfortable leather settee (which I fell asleep on many times watching the tv) and chair in the living area, separate raised dining area, and fully fitted kitchen and even a dishwasher. 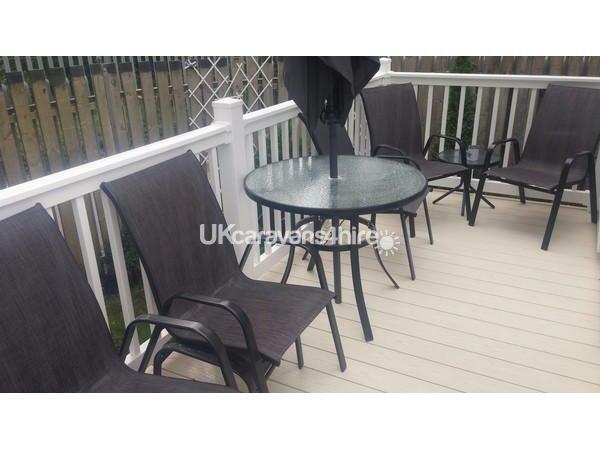 Lovely decking area. Nothing is spared. Very homely, everything you would need is there. We were a couple on holiday but if you are holidaying with children there are console games, videos, toys, everything to keep them occupied inside and out. We even had two couples asking us if it was our caravan as they liked it so much. Showed them round (doing my salesperson pitch) and they asked for the owners number. 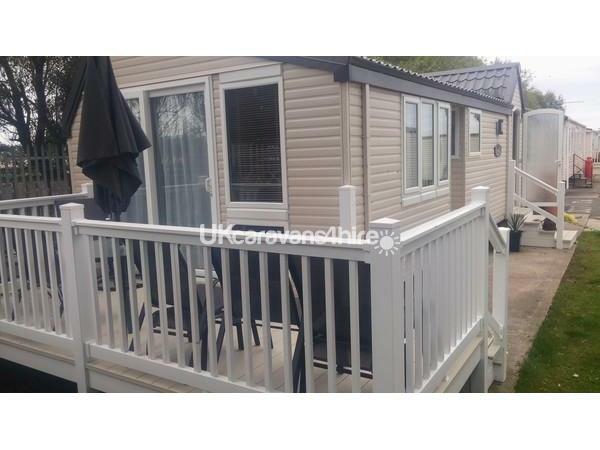 This caravan is the best we have ever stayed in, it's beautiful, clean and tidy! 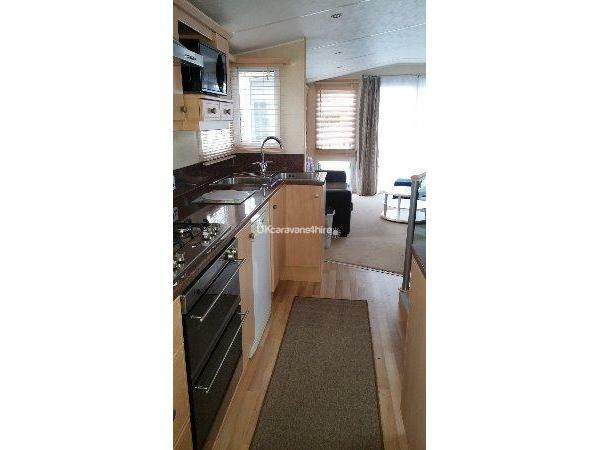 The people who own are friendly, I would highly recommend this beautiful caravan, defo coming back next year! !